“As a result of this condition, the City and Lanzo [Construction, the contractor] reached an agreement” on improvements, Morales wrote. They include: installation of 16 backflow prevention devices, rerouting of roof drains at the southeast corner of 20th Street and Purdy Avenue, and installation of three micro pump stations in the right of way. The total cost of the improvements in the amount not to exceed $475,000 was presented as a change order which was approved at the Commission meeting this week. Two thirds of the cost will be covered by Lanzo/Wade Trim and one third or $158,350 will be covered by the City. 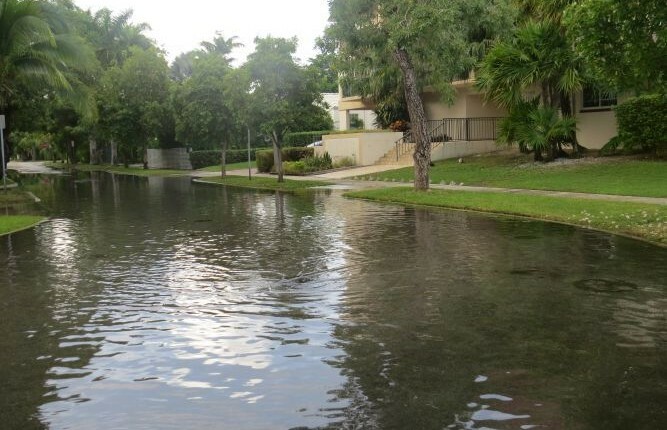 Sunset Harbour was the City's first resiliency project to combat flooding from sea level rise.